Andra Jenkins serves as President and Chief Executive Officer of Slaters Funeral Home, Inc. in Milledgeville, Ga. For more than 16 years, he’s guided individuals and families through the funeral planning process with compassion and care. Prior to his role at Slaters, Jenkins worked his way up from an apprentice to a mortician and embalmer at M.C. Smith Funeral Home in Sandersville, Ga.
Jenkins’ drive and commitment to people serve as the foundation of his approach to helping families during their time of need. He works diligently as a trusted partner who understands each customer’s unique needs and requests. These same values are part of Slaters DNA and evidenced by its commitment to high-quality and cost-effective funeral services. A lifelong learner, Jenkins has participated in a variety of business and civic groups. He is a graduate of Leadership Georgia, a notable leadership training program. 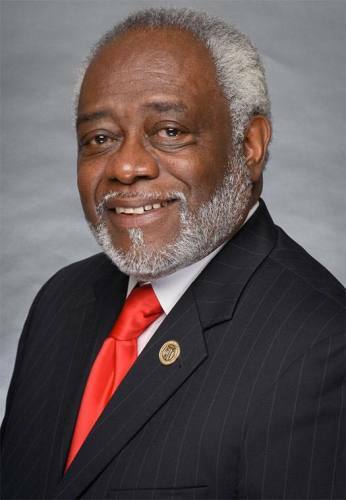 He currently serves as the Third Vice-President of the Georgia Funeral Service Practitioners Association, Inc. and is also a member of the National Funeral Directors and Morticians Association, Inc. and Epsilon Nu Delta Mortuary Fraternity, Inc.
Jenkins not only provides support for customers, but he deeply cares the communities he serve. He is a committee member of the Democratic Party of Georgia and board member of the Washington County Development Authority, Washington County Regional Medical Center Foundation, and Oconee Fall Line Technical College LIFE Board. He was formerly a board member of the Washington County Regional Medical Center Hospital Authority, Sandersville School Building Authority, and the Washington County Chamber of Commerce Board of Directors. Throughout his career dedicated to helping customers, colleagues and his community, several organizations have recognized Jenkins with awards and accolades. The National Office of the NAACP honored him during its Centennial Celebration for being the youngest person to ever serve as a branch president. 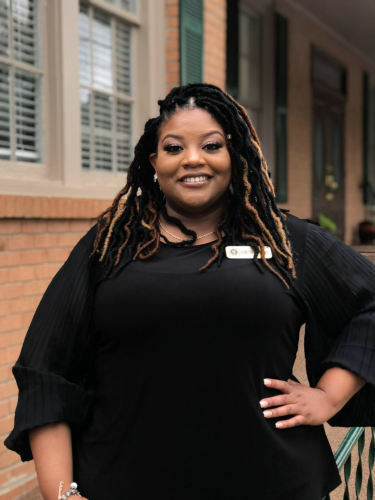 After growing up in Harrison, Ga. in Washington County, Jenkins graduated from Gupton-Jones College of Funeral Service in Atlanta with a degree in Funeral Service Science. When Jenkins is not helping families cope with the loss of a loved one, it’s likely he is spending time with his three children Carrington, Carter, and Carcynn. He is a deacon at New Birth Christian Ministries in Tennille, Ga. Jenkins sings in the men’s choir, teaches Sunday school, and works with both the transportation and security ministries. During his leisure time he also enjoys fishing and singing gospel music. James Howard Jones is a native of Milledgeville, GA and has lived in Milledgeville most of his life. Since relocating back to home after living and working in Atlanta, GA at Emory Universal Hospital for fourteen years. Prior to starting his role at Slater’s Funeral Home, INC. under the Griffin Family, James went on to pursue an Associate Science in Funeral Service from Gupton-Jones College of Funeral Service. James is a member of the Georgia Funeral service Practitioners Association, Academy of Professional Funeral Service Practice. He is enrolled at mid-America College of Funeral Service pursuing a Bachelor of Science in Funeral Service. The Honorable Floyd Griffin, Jr.
Sharika is a native of Davisboro, Ga and brings in several years of management experience to Slater's Funeral Home, Inc.